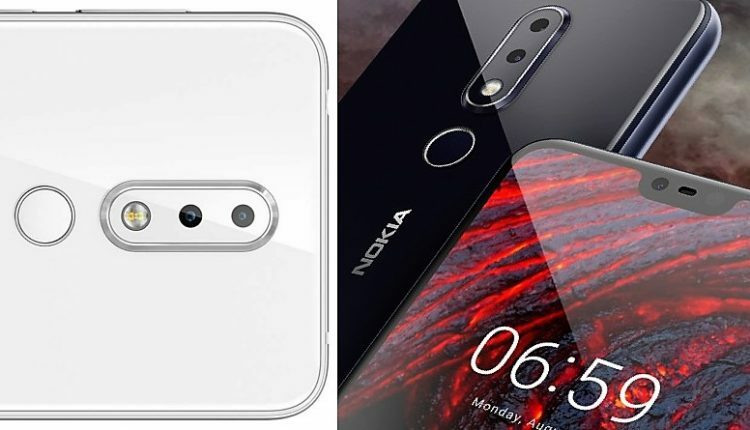 All You Need to Know About Nokia 6.1 Plus (X6): Nokia is one of the brands which has been around for generations now. People all over the world are familiar with the quality products that Nokia has been bringing to the market. Every now and then the company launches a product that takes the market by a storm and helps the company stock shoot higher. The most famous phone till date remains the Nokia 3310. Many people call it unbreakable because of the perfect build quality that Nokia achieved with it. When you buy a Nokia phone, you are not just buying a phone. You are buying the rich heritage and years of trust that comes along with it. There was a news reported that a Nokia phone prevented a person’s death when it stopped a bullet from reaching the man’s heart. The phones made by this company lasts with you for a long time. They have regular updates and run on an almost stock Android with minimum bloatware. You can buy a Nokia phone and achieve a peaceful state of mind, ensuring that your phone will stand by you through thick and thin. This phone is the redemption that the company was looking for. The phone comes as an improvement of the outgoing models under the INR 20,000 mark. 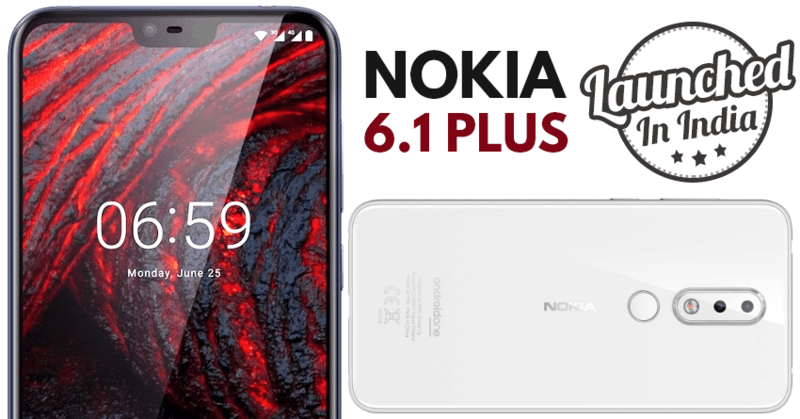 With a 19:9 aspect ratio and a notch at the top, the Nokia 6.1 Plus provides a completely immersive experience with its 5.8-inch display. You can view more content on your screen with the larger display. What makes the Nokia 6.1 Plus amazing at this hour is the camera. It is great in low lights and has a provision to shoot from the front and the rear lens at the same time. Also amazing is the fact that you can go live on YouTube and Facebook right from the Camera application itself. The dual rear cameras have a 16-megapixel sensor and a 5-megapixel sensor for depth perception. The camera on the front has a 16-megapixel sensor, which is housed within the notch of the phone. The phone has support for the AI system, which helps you capture amazing details. Nokia hit gold with their current design. It is aesthetic and ages well. The one on the Nokia 6.1 Plus takes things a step further. There is a glass back on the phone which is protected by Corning Gorilla Glass. 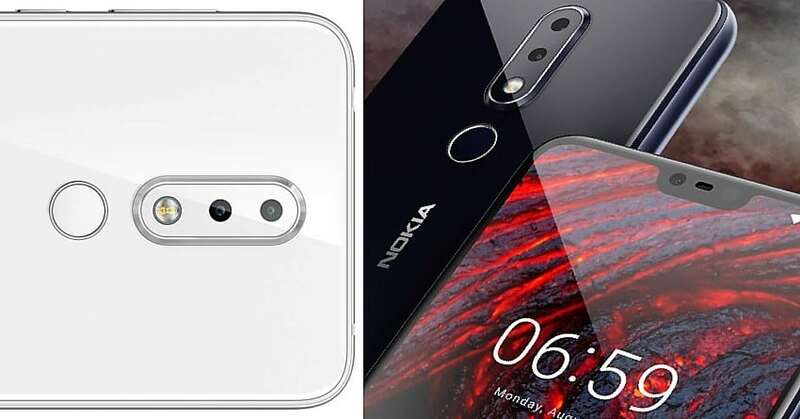 It is also the first Nokia phone to feature the notch. A total of 93% of the total area of the phone is covered in glass, giving it a more premium look. The inside is where the Nokia 6.1 Plus truly shines. With a Snapdragon 636 chipset, multitasking on the phone is fast and seamless with the help of a 4GB RAM. The phone runs on Android Oreo, the operating system that has been deemed to be the best for the phone for an extended battery life and maximum performance. There is a 3060mAh battery that will last you almost the entire day. 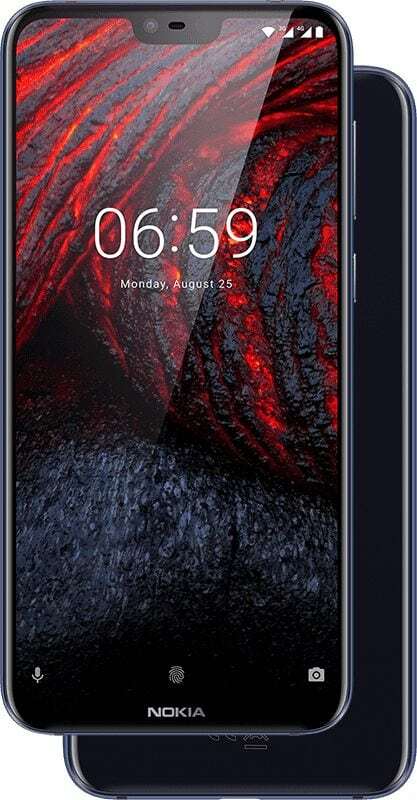 The Nokia 6.1 Plus will be exclusively sold on Flipkart and Nokia India’s official website from August 30, 2019, and the pre-order has begun already. 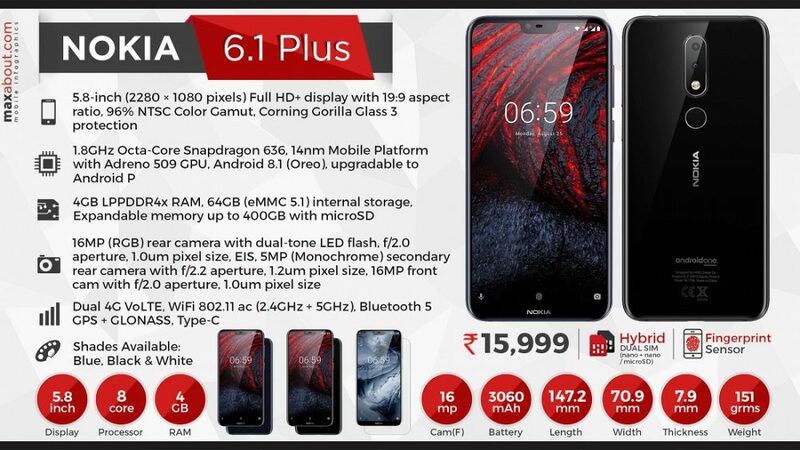 The phone will be sold at a price of INR 15,999.